In the 1997, a passionate group of Northglenn citizens banded together to save the oldest brick farmhouse in the area from certain demolition, contributing countless hours to the loving restoration of both the interior and exterior of the Stonehocker Farmhouse in years following. This group became the Historic Preservation Commission, an advisory arm to the City of Northglenn. The Historic Preservation Foundation was subsequently created in 1999, and fundraises to support the work of the Commission. Both groups work together closely and are extremely active in identifying local historic assets in the City of Northlenn. The Stonehocker Farmhouse and surrounding property has continued to be the most active project, and the group opens the home to tours and local events, including Olde Fashioned Northglenn Christmas each year. 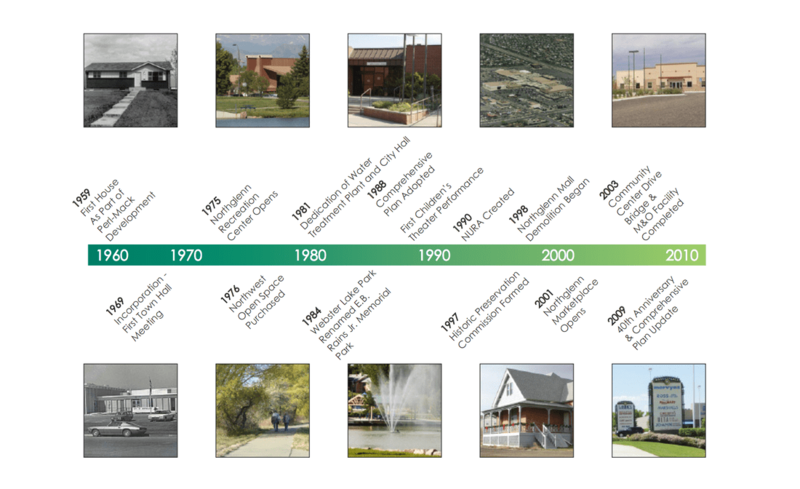 The Northglenn Historic Preservation Commission and Foundation participates in and hosts a number of events to celebrate the area's history and to raise funds to support our work. Visit the Events ​page for more information about upcoming, past, and future events. ​Alan Sielaff, Clerk to the Commission. Northglenn was named "The most perfectly planned community in America" by Life magazine in 1962. ﻿﻿Northglenn is located nine miles north of Denver, Colorado, in western Adams County. It began as a planned community in the spring of 1959, when a housing and land development firm finalized plans for a large housing subdivision north of the Denver Metropolitan area. The vision of a well-balanced community included acres of open space for park and recreation development along with residential, industrial, educational and commercial plans. From the first residential development in 1959, Northglenn has grown to a home rule city, with a population of 36,889 and encompasses 7.5 square miles of land. The Northglenn Historic Commission works to preserve and celebrate remnants of the past, including relics from the homesteading and agricultural roots of the area, to the midcentury period in the 1950s-1960s. Thede Farmhouse, Stonehocker Western Heritage Park, 10950 Fox Run Parkway Northglenn, CO 80233.